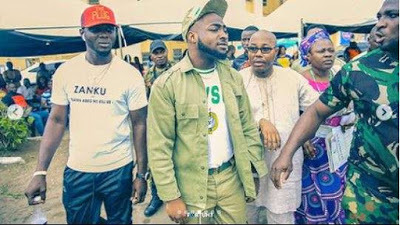 The National Youth Service Corps (NYSC) has sanctioned popular artiste, David Adeleke, aka Davido, for violating camp rules during the mandatory three-week orientation camp. Top sources in the NYSC disclosed that for “absconding” from the camp during the orientation period, the Corps had to “dekit” the artiste, which brought to an end his participation in the 2018 Batch ‘B’ Stream II in Lagos, where he had been posted. Davido, it was gathered, violated many of the scheme’s regulations. 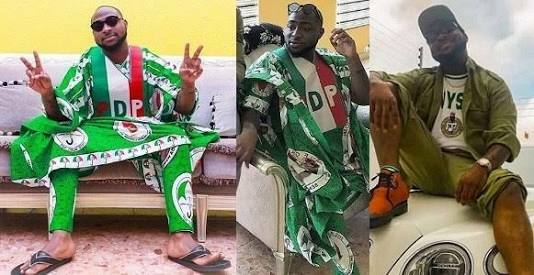 Other NYSC bylaws violated by Davido include disclosing official information; engaging in private practice; taking part in partisan politics and reporting late for duty. However, it was gathered that he may be remobilised for the scheme. The NYSC Director of Information, Adenike Adeyemi, who told The Punch in a response to an enquiry, that the Corps had communicated with the popular musician over his activities during his service year, however, did not say what punishment had been meted out to him for breaking several bylaws.